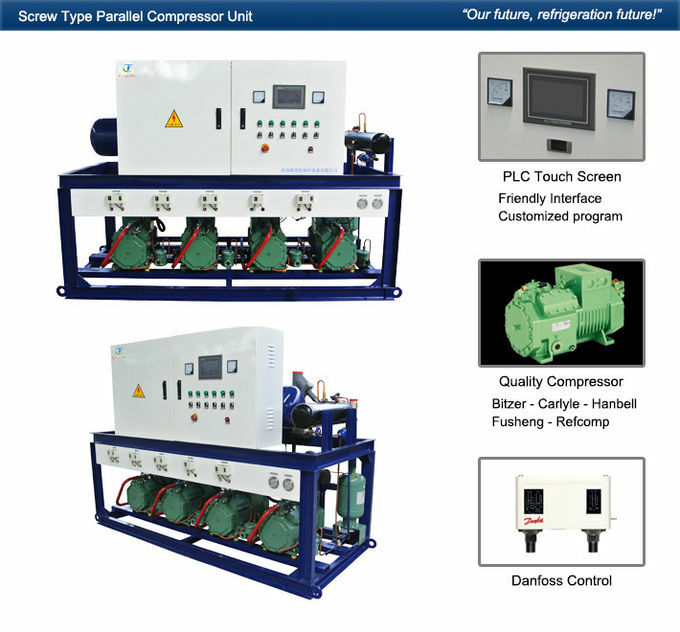 We produce our compressor racks with world famous components and the world lastest technology. 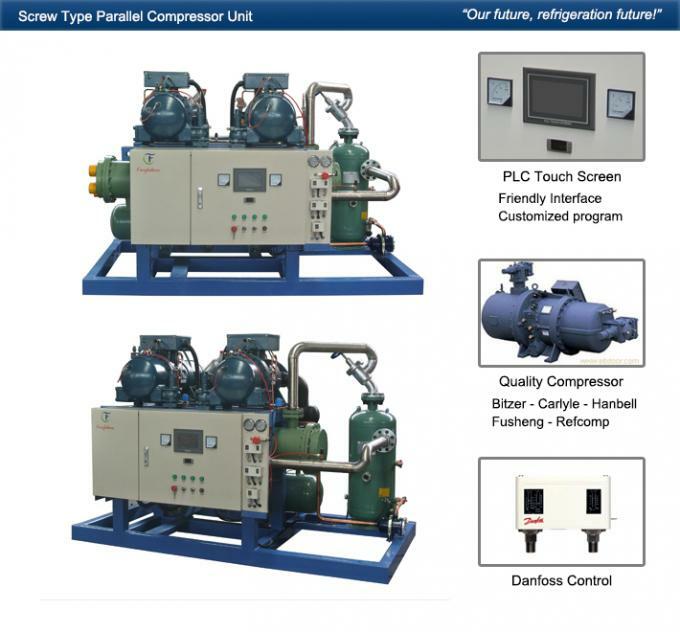 Each compressor rack is standardly equipped with phase loss protection, reverse phase order protection, over voltage/lack voltage protection, oil pressure protection, high/low pressure protection, motor over load protection, etc. This would enable our compressor racks to avoid frequently startup/off and provide a stable and reliable performance to end user. 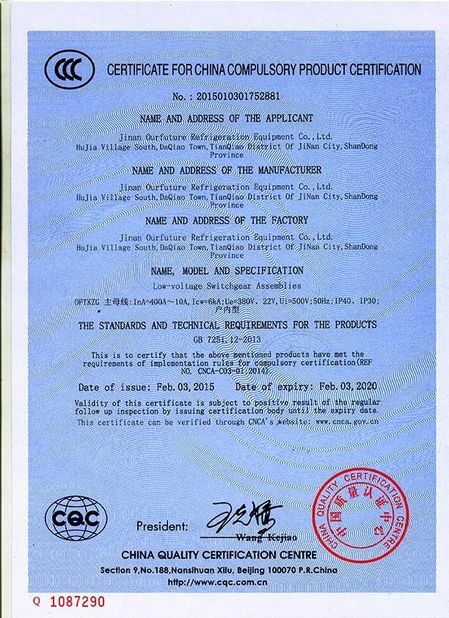 Components such as compressor, reservoir, gas-liquid separator, oil separator, economizer, intake manifold, fluid supply manifold, electrical control equipment are all centralized, making sure every inch of the space is fully used. The unit has a compact structure, the space saved during assembly can provide more space for commercial use, benefiting the end user with extra profit. 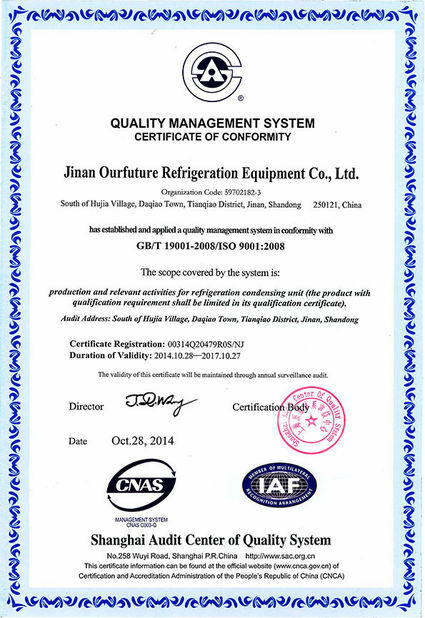 Because of a huge demand difference between seasons for refrigerating capacity, the unit must have a high level control for capacity, so that the unit can keep running under high efficiency mode. The average parallel unit efficiency, according to different refrigeration system is 30% higher than single compressor unit. 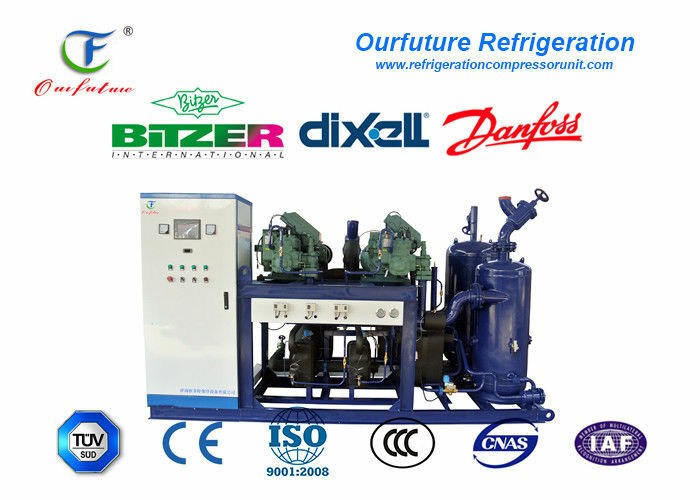 Using multiple compressor parallel units can provide a multiple energy level control, the refrigeration output can be dynamically allocated more smoothly according to actual situation. With high efficiency oil separator, only a small amount of lubricating oil enters the system, this largely brings up the heat exchanging efficiency. 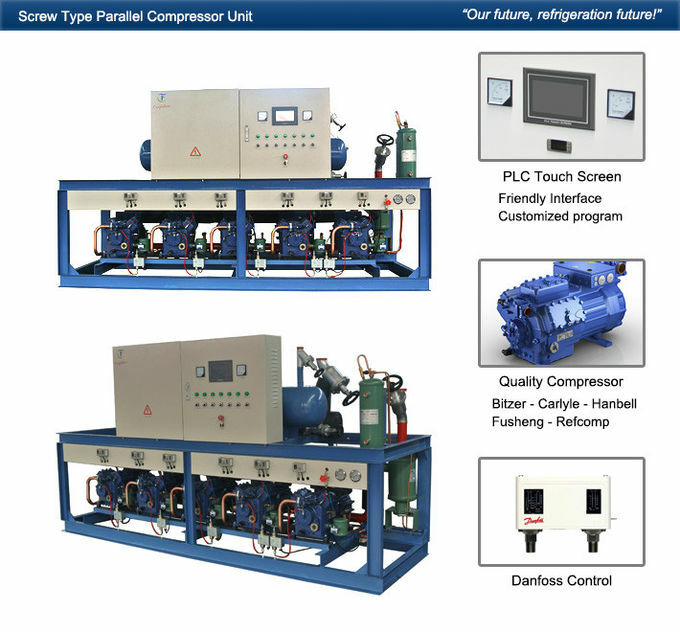 The PLC controller monitors running compressors quantity, it maintains a maximum use rate even when only parts of the compressors are functioning. PLC controller can be set with the best running curve (maximum & minimum power comsuption), to same as much electricity as possible. Subcooling expansion valve, Subcooling solenoid valve, Subcooling sight glass, Subcooling stop valve.